Rapid gel hand cleaner for removal of oil, grease, grime and many oil based paints. Enhanced smooth gel formulation, with conditioner to maintain skin moisture. Swarfega Classic Hand Cleanser 1kg is rated 4.5 out of 5 by 6. Rated 3 out of 5 by Dtn72 from Where's the bits? I hadn't used this for a few years and thought I'd go back to it. Had engine oil and grease that needed to clean off my hands. This was alright but I needed to use a hand / nail brush. 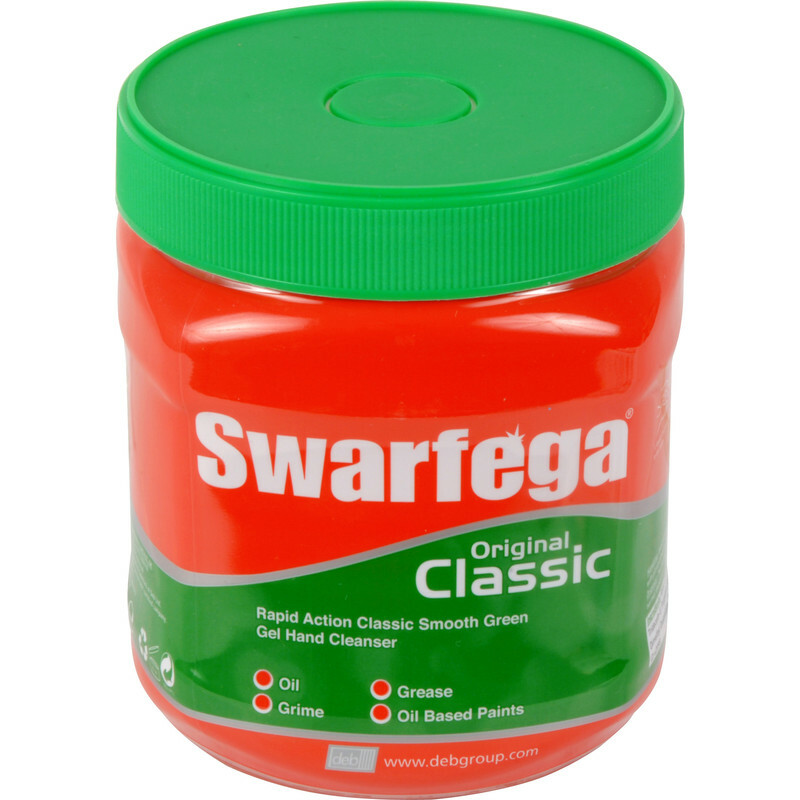 I'm sure Swarfega used to have bits (grain) in it to help to scrub ingrained dirt off your hands? This doesn't seem to have any in. Maybe they've changed the formula. Or maybe it was a different version of the same brand I had previously used. I had to use washing up liquid and a brush afterwards to get the dirt out. Rated 5 out of 5 by Caddyman from Great hand cleaner This is still the best for removing oil and grime from hands and have used it for over 50 years. Rated 5 out of 5 by TekiTom from great value and good at its job cleans your hands efficiently and without too much smell.